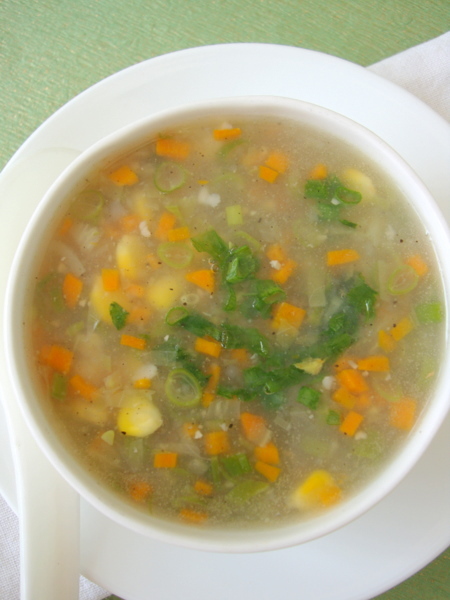 Today I have for you Sweet corn vegetable soup. I don’t know what took me so long to post my favorite soup recipe. 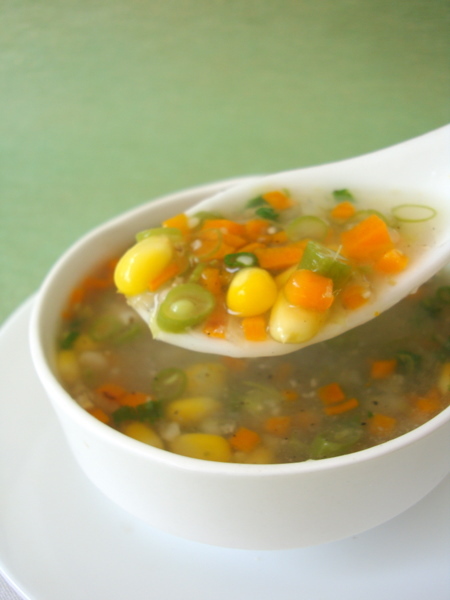 I LOVE sweet corn vegetable soup and sweet corn chicken soup! And it doesn’t need to be winter or monsoon to enjoy my favorite soup. I can relish this bright and flavorful soup any time of the year. Seriously. You can prepare cream style corn at home. Take 2 corn cobs, take a share knife and scrap the corn kernels. Melt a tbsp of butter in a vessel, add 3/4th of the corn kernels and saute for 2 mts. 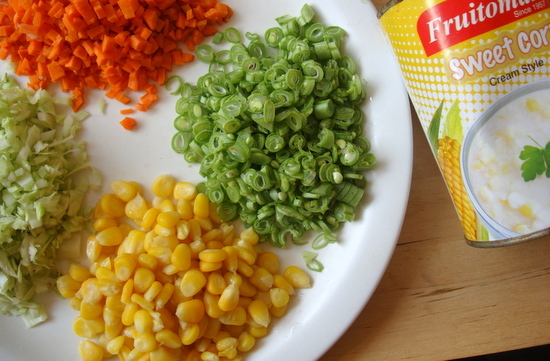 Blend the remaining corn kernels to a paste. Add this corn paste and a tbsp of sugar to the vessel and mix. Add 1/4 cup of water and 3 tbsps milk (optional ingredient) and cook for 7-8 mts. Mix a tbsp of flour in 3 tbsps water and mix. Add the corn flour mixture and go on stirring till it thickens. Season with salt and pepper. Cool and freeze until use. By Sailu Published: March 3, 2012 Sweet Corn Vegetable Soup is an easy Indian Chinese soup recipe prepared with cream style corn and mixed vegetables. An easy soup recipe that is flavorful. Too good. M hearing about cream style corn for the first time. True killer of a recipe! I absolutely have to make this today! Love you sooo much…please don’t make us wait so long for recipes!! I’m sure you will find in any good grocery store. See the tips at the end of the post, where I have given the recipe for home made cream style corn. i purchased cream style corn tin in walmart. 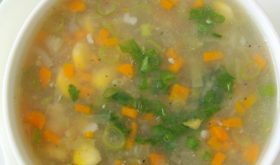 Thanks alot for the recipe, I have been looking for this creamy sweet corn soup. I love sweet corn soup. thanks for sharing this recipe sailu. Expecting some more soup recipes from you Sailu. I will definitely try this today itself. Definitely going to try this tonight. If you want to use fresh corn, you can cut the corn off the cob after cooking it (boil lightly), and then grating the ear of corn for whatever’s left. You’ll end up with a very sweet milky substance that adds a lot of flavor to the soup. It is really so nice post.these foods would be awesome taste.I like it. Thank you Sailakkka..Theepi mokka jonna soupu adhurs.. I love corn soup! The warmness and sweetness of it simply calms your growling stomach or relax and soothe you while taking each slurp at the spoon. Do you think it will be good with some tofu or croutons on it? Wow.. would love to try this yummy bowl..
Sweet corn soup sounds delish!!! Would be perfect on a rainy day like the one I see outside my window right now. Thank you very much for the wonderful recipes. Your blog is my go to guide for most of my cooking these days. Love your recipes, pictures and writing style. One suggestion/request, would be nice if there was a print version of the recipes so I can have them handy in the kitchen. Not sure if that is easily doable for you. So far, I’ve been handwriting them or copy pasting to another doc. Can you please add information on the size of the can of cream style sweet corn you used? These cans are usually available in two sizes. I made this soup the other night as starter with a duck rogan josh as the main it went down very well. I love how the spring onions bring the whole dish together the corn flour thickened it nicely too. Hello Sailu, I’m not able to subscribe to your blog using RSS. Please can you fix it- I enjoy your recipes so much! Thanks in advance! All your recipes are awesome. I love sweet corn soup! Just stumbled across your blog and I’ve already seen a few recipes I want to try. Can’t wait!! simple healthy and delicious in short time period its gr8!!! Am going to try it tomorrow !! Hoping it will turn out good. hi sailu, i loved ur soup and made it for my husband. he loved it. 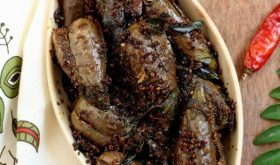 I have linked your recipie in my post. My friend prepared this soup and we had it justnow,it was sooooo tasty than the restaurant ones,and moreover healthy & energetic too,there is no words to describe the taste of this,heavenly taste ! After my surgery,I didn’t feel like eating any food,but today I finished one whole bowl of this soup due to this irresistible lovely taste. Thanks for sharing this healthy & tasty recipe,we are going to make it very often for sure.Thanks.